2014 – today: Managing Director at TSK Flagsol Engineering GmbH Heading the competence center (sales, proposal, engineering, R&D, EPC project execution) for concentrated solar power (CSP) of TSK; Sales representative of TSK. 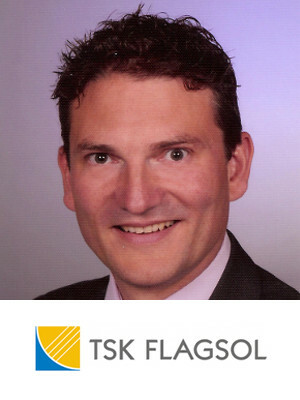 2011 – 2014: Sales managing director at TSK Flagsol Engineering GmbH; heading all CSP sales activities for EPC business. 2007 – May2011: Director of Profit Center for North Africa at Ferrostaal Industrieanlagen GmbH; heading all sales and project execution ativities in the region for oil & gas projects and all kinds of industrial plants.